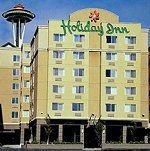 TripAdvisor - compare prices and read what other travelers have to say about hotels in the Seattle area. Nestled in the city's vibrant core, with the best of Seattle found just outside our front doors, from exciting nightlife to gourmet restaurants and world-class shopping. Discover maximum comfort and convenience in each of our 840 guest rooms, carefully designed down to the smallest detail. Tempt your tastes with a variety of private dining venues, or if you're looking for a little recreation, our health club features a sauna, Jacuzzi, massage, and a comprehensive selection of exercise equipment. An ideal urban retreat, we are just steps away from the Washington State Convention Center, Pike Place Market, and Seattle's most enticing shops. We are one of only two hotels in the city offering unobstructed views of Puget Sound, Lake Union, and the Seattle skyline. Relax in the elegant Lobby Bar, featuring a full-service bar and flat-screen TVs. For fresh Northwest seafood, visit the Coldwater Bar & Grill, a fantastic place for breakfast, lunch, dinner, and drinks. High speed Internet access in all rooms. WestinWORKOUT gym with whirlpool/Hot tub. The entire hotel is smoke-free. Book at Westin and get Guaranteed Best Rates. Located in the heart of downtown Seattle's most popular waterfront district, with many guestrooms featuring private balconies with breathtaking views ranging from Mt. Rainier, Elliott Bay to the Olympic Mountain range. Just steps to the famous Pike Place Market, right across from the Seattle Cruise Terminal (Pier 66), and only minutes to major downtown attractions and shopping. Home of the Fish Club, an upscale seafood restaurant brilliantly designed by award winning celebrity Chef Todd English. The entire hotel is nonsmoking. Book at Marriott.com and get our Best Rate Guarantee. Centrally located around a vibrant and eclectic city core, this delightful Seattle hotel places you steps away from Seattle's Qwest and Safeco Fields, Pike Place Market, the new Seattle Public Library, as well as Seattle's downtown shopping. 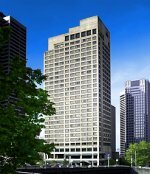 With close proximity to the freeway and convenient location on Madison Street, the Renaissance Seattle Hotel is perfectly suited for the business and leisure traveler. The newly renovated lobby welcomes you with colorful furnishings and walls graced with paintings from local artists. Enjoy spacious hotel rooms and suites offering breathtaking views of downtown Seattle. Guests can enjoy our on-site restaurants, fitness center, and indoor pool. The hotel is located 20 minutes away from Sea-Tac International Airport. Guests will also enjoy free wireless and wired high-speed Internet access in all rooms, and a state-of-the-art exercise facility, indoor heated pool and hot tub. Located downtown, just a few blocks from historic Pike Place Market. Located close to Seatac International Airport, this property recently completed a $2.0M guestroom renovation, including new carpets and beds. 2008 Recipient of US Business Association's "Seattle's Best" Award. Located close to Seatac International Airport, with self-serve laundry, 24-hour fitness center and high speed Internet access. located 4 blocks from the Seattle Center and the Space Needle, a mile from Pike Place Market. Self-serve laundry, 24-hour fitness center and high speed Internet access. Located minutes from the Space Needle and Pike Place, with fitness center, indoor heated pool, complimentary high speed Internet and �Express Start� hot breakfast bar. This historic hotel, listed on the National Register of Historic Places, offers excellent service and deluxe guest accommodations. Every room is elegantly appointed in period d�cor, with free high speed Internet access, gold-plated bathroom fixtures and Corian counter tops. Located adjacent to Seatac International Airport, with an on-site restaurant, free 24-hour airport transportation, free wireless high-speed Internet access, exercise facility, indoor heated pool and hot tub. Located within walking distance of Seattle Center and the Space Needle, with free deluxe continental breakfast, an exercise room and a park-and-cruise package. Located 6 miles north of downtown Seattle and 18 miles from Seatac International Airport, with free deluxe continental breakfast and a fitness center. Located within walking distance of Seattle Center, with free airport shuttles, free high-speed wireless Internet access in all rooms and free deluxe continental breakfast. Located just one mile from Seatac International Airport, with free airport shuttle. Located in Shoreline, a northern suburb of Seattle, 26 miles from Seatac International Airport. Located just one mile from Seatac International Airport, with free airport transportation and free continental breakfast.